We strive to create recipes that are easy to make, inexpensive, and effective. 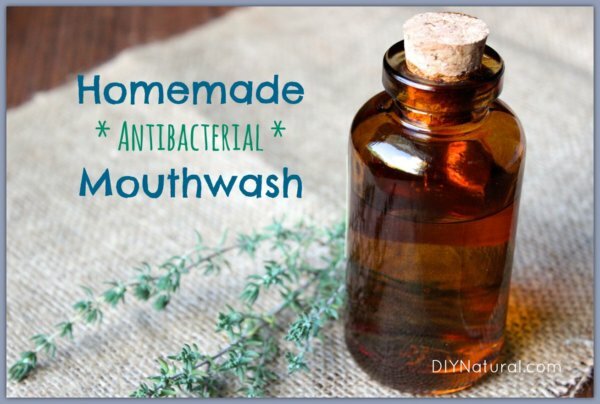 This homemade mouthwash is all that and even has antibacterial and antifungal properties to help keep bad breath at bay. Baking soda will settle to the bottom of the jar when not in use, so be sure to shake your homemade mouthwash before each use. Swish about 2-3 teaspoons of this homemade formula in your mouth for a minute or two. As with any mouthwash, try to avoid swallowing this while gargling. Feel free to double this recipe for a larger batch. Making really big batches is not recommended because the oils will continue to blend over time and flavors can change.